A woman woke up for work one morning and noticed something in her cat's bed — and it was not the cat! "When I came downstairs, and walked passed the kitchen into the bathroom, I did a double take as in the kitchen window I could see a pair of huge ears," Blayze said. "I thought, 'hmm, those are not the cat's ears', and I turned the light on to look at what was in the cat's bed – and it was a fox." That night, Blayze had woken up around 4am to let her cat outside the kitchen window so he could explore the garden. 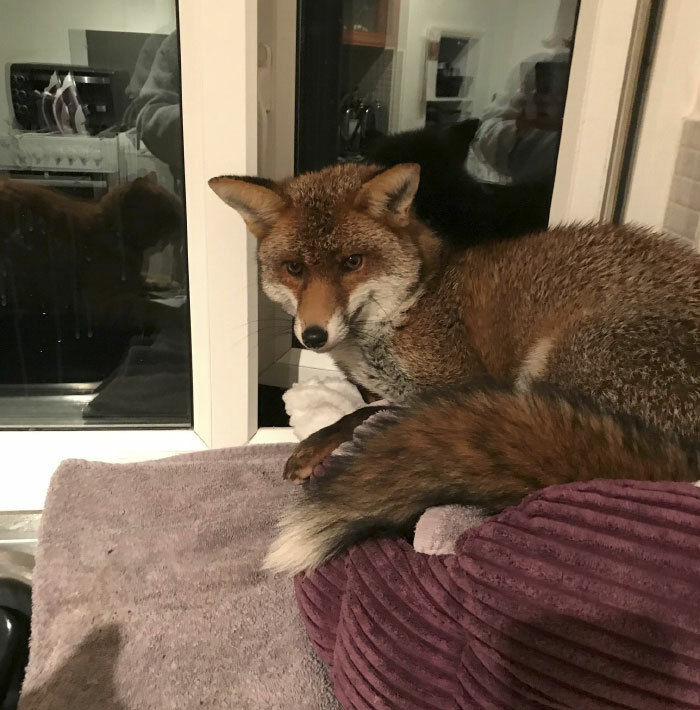 The fox must have seen his opportunity to escape the cold and entered her home through the window. Not wasting any time, he made himself comfortable in the cat's bed. "I looked at him and he looked at me," Blazye told The Dodo. "He was not frightened of me at all." 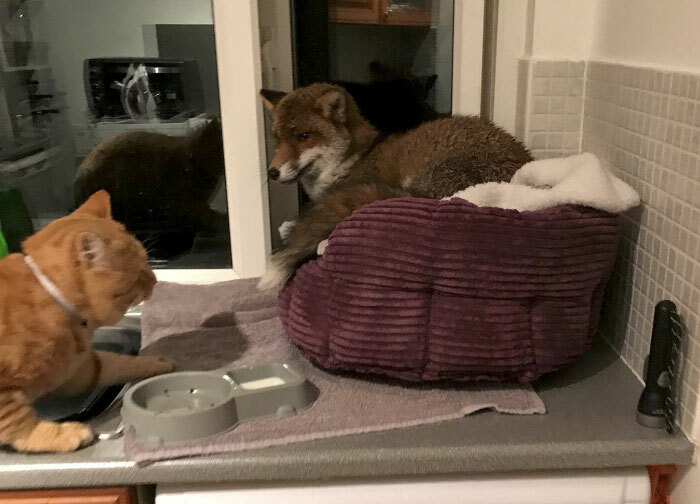 Her cat hissed at the fox but he refused to budge. "He was acting like another member of the family who had been there for years and was confused about what all the fuss was about." Blazye said she managed to tip the bed enough for the fox to be uncomfortable and he finally ran outside through the window. "If I had not shut the window after that, he would have came back in for sure," Blazye said. "He didn't want to be outside — I think he was cold. After that, he was at the window looking in at the cat and I for a few minutes before going on his way."